How to add a new user without the new user being empty ? I’m new to linux and antergos, but i have a problem. Like i said in the title, how can i add an user without it being empty ? by empty, i mean that there’s no program, not even the start menu on the desktop, only 2 folders and the trash. If it can help, here’s how i’ve created my new user : sudo useradd -m username . So, if someone can help me and explain to me how to create correctly a new user, it would help me a lot ! If so, simply press the Super key (aka. the Windows key) and type in “Settings”. At the top right corner, there should be a button that is titled “Unlock” simply press it to, well, unlock your user settings for editing. Where it formerly said “Unlock” it should now say “Add User…” Choose this option add a user. Sorry, I wish I could help more. Sorry to ask but I didn t quite understand it. You mean you have no taskbar in your system? If so, such behavor has been reported before. Can tou clarify it please? @anarch I have a taskbar, but instead of being at the bottom, it’s on top, and the only thing in it is the date and the time. And yes xfce is a good choice fore older notebooks, but MATE should work also. 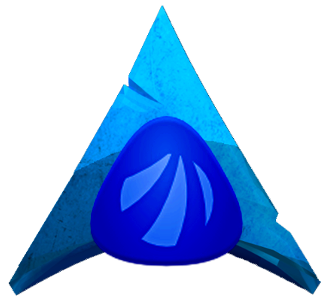 So yeah, i think i will reinstall antergos with xfce tomorrow, i’ve just installed it 1 day ago so it’s not a big deal. If you need any help, be sure to check out the guide on the wiki. I beleive it is now intergrated as a part of Cnchi also .